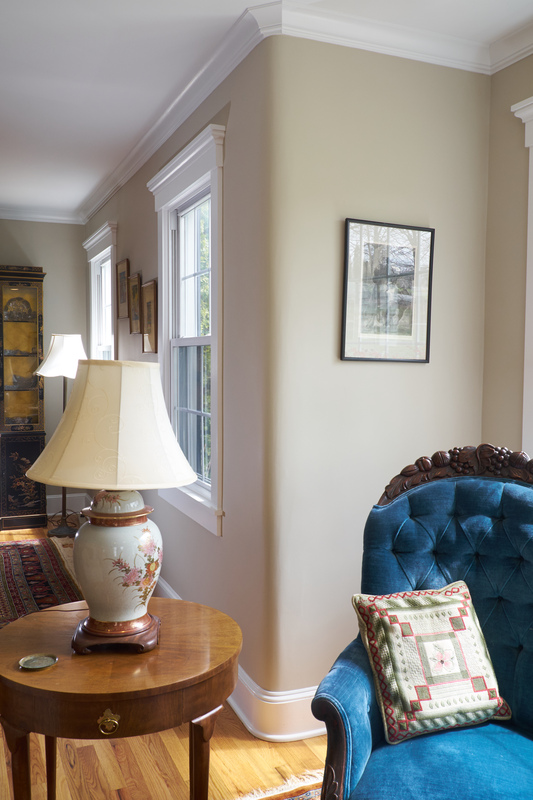 The first floor of this 1870 home was cut up into several small rooms. 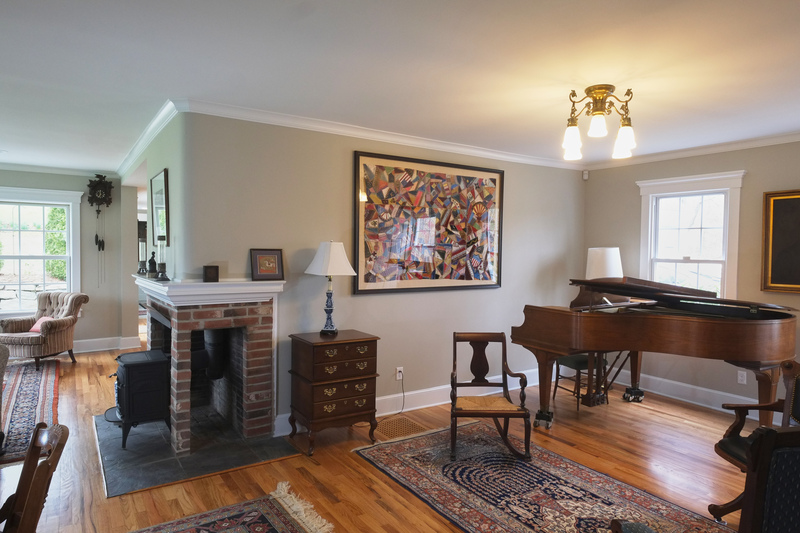 With some creative planning, a defunct chimney and a few walls were taken down and rooms were rearranged to allow for a more contemporary open floor plan. 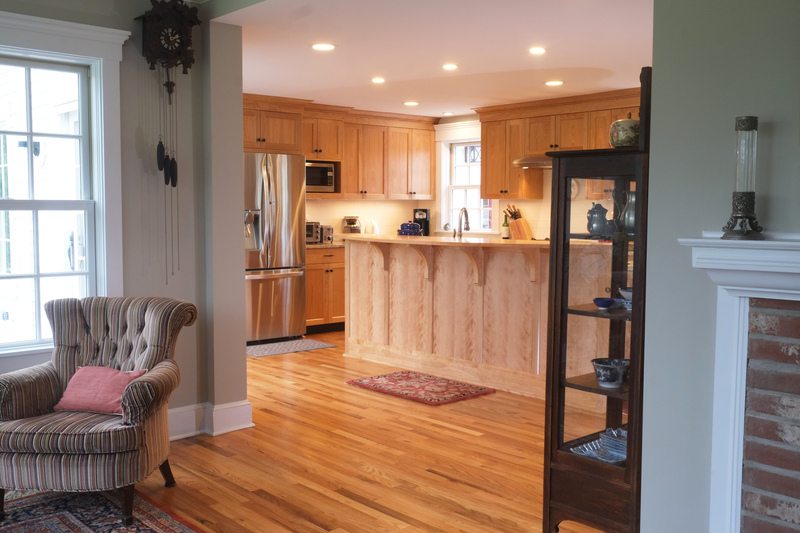 The new large kitchen is now open to adjacent rooms. 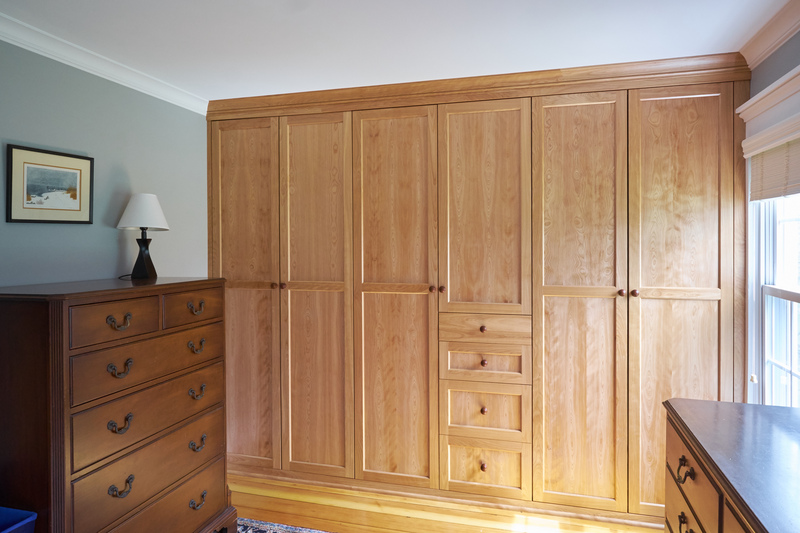 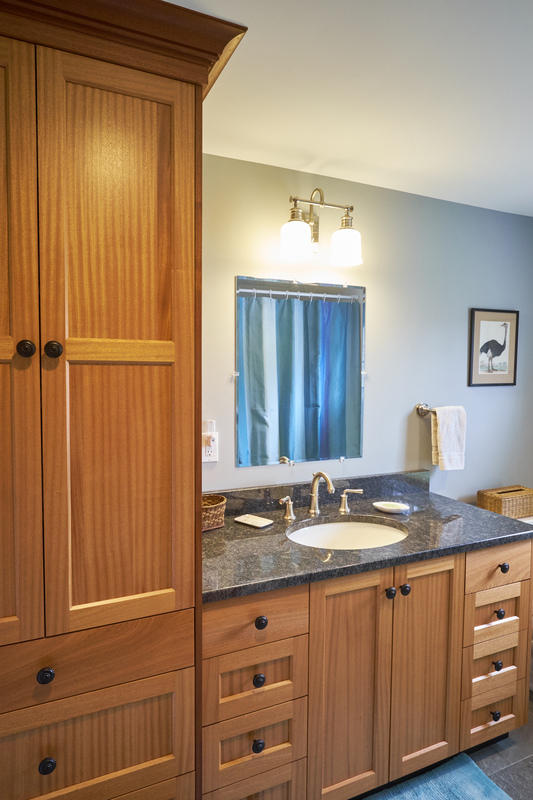 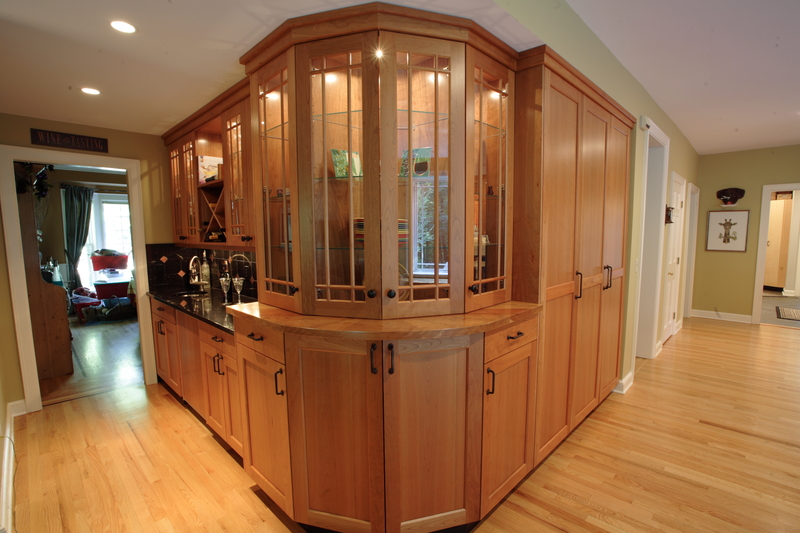 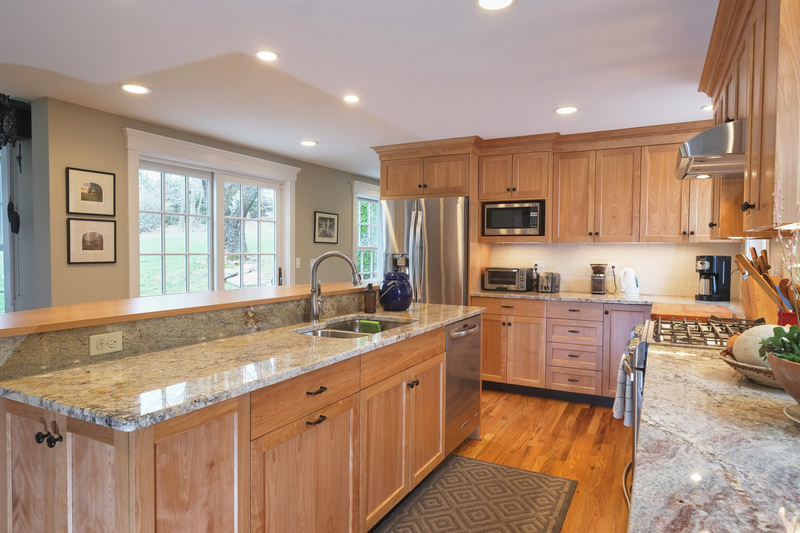 Red birch was chosen for the cabinets because of its light, yet warm tone. 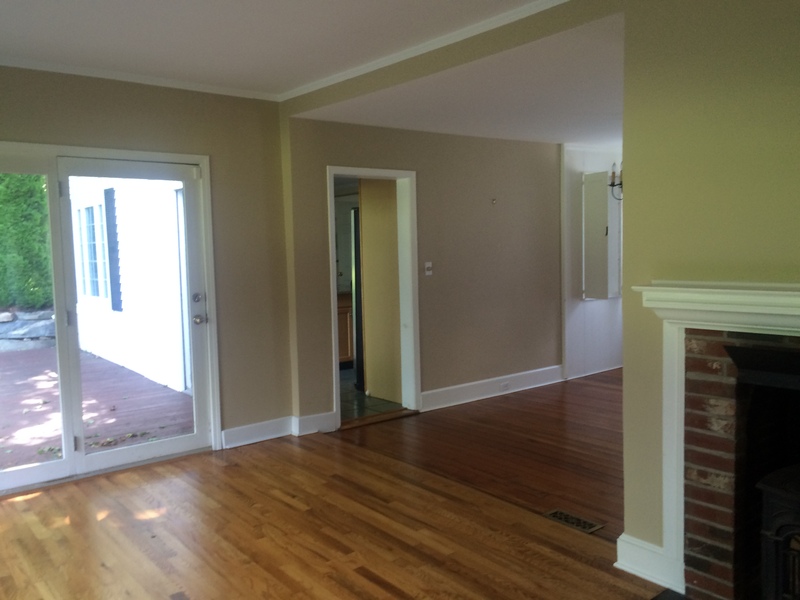 The second floor was also renovated to rearrange the master bedroom and bathroom. 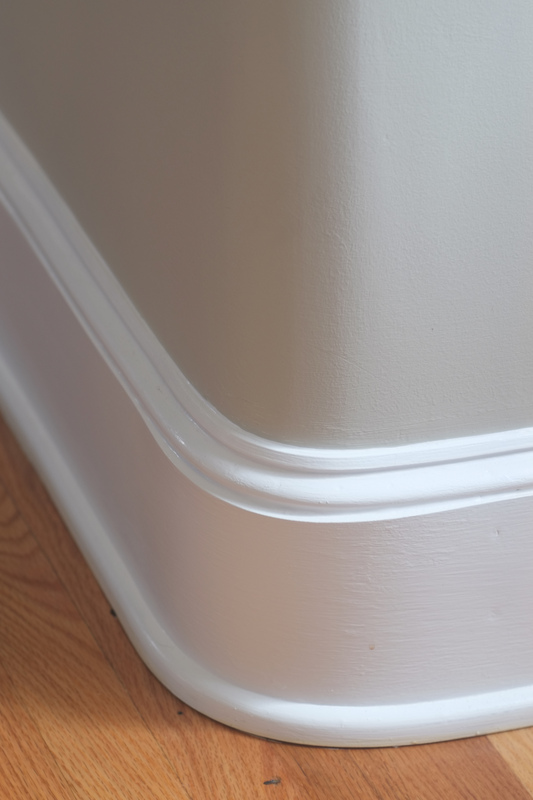 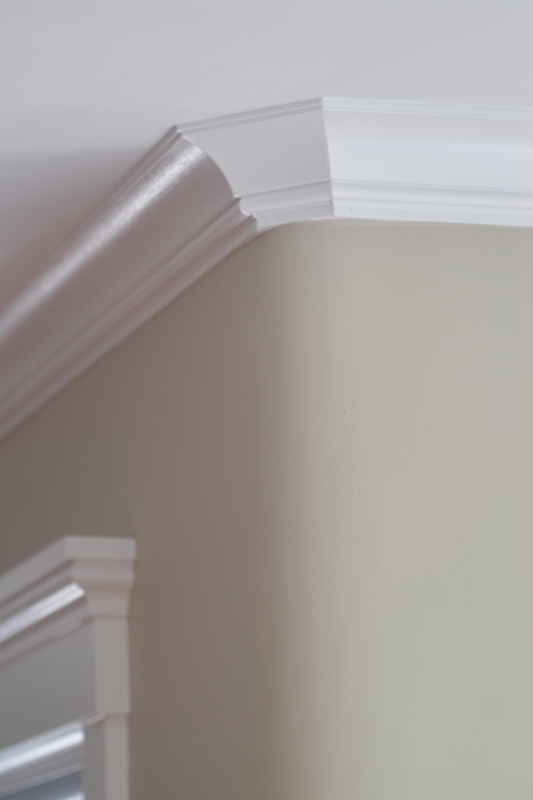 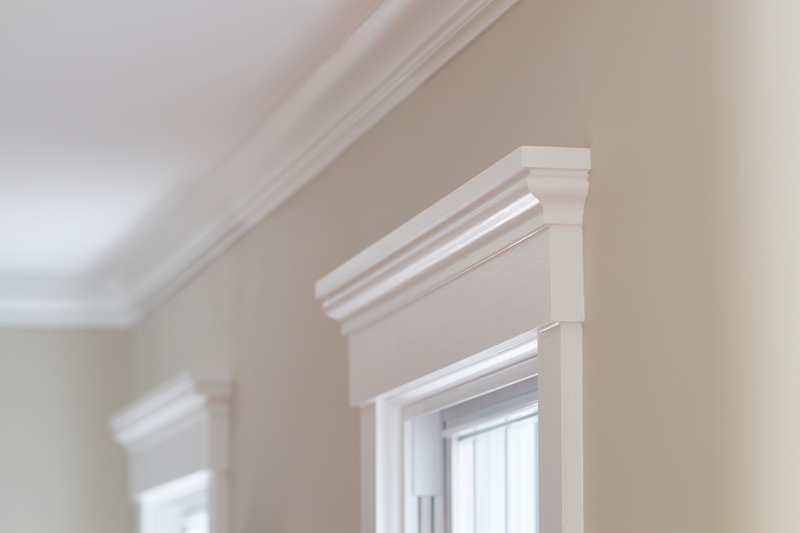 New interior trim throughout the house was designed to replicate trim of the era.